Building on the successful completion of Stage 1, Abergeldie was awarded the second stage of Shove Avenue development. 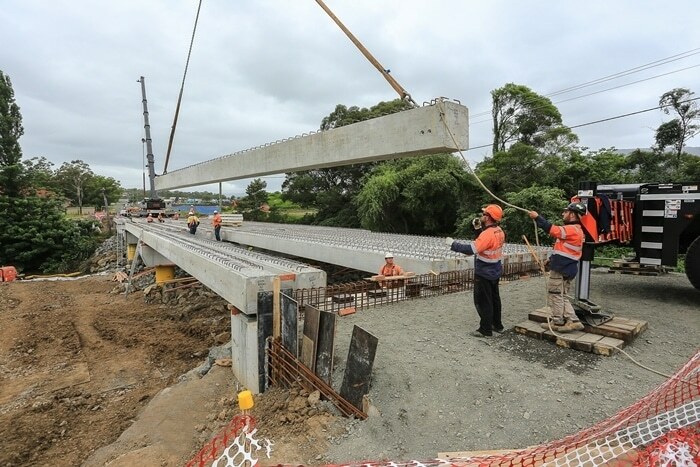 Road realignment extends for a length of approximately 470 m from the southern termination of the Stage 1 works, some 400m south of the intersection of Shone Avenue and West Dapto Road. The current Shone Avenue alignment comprises an asphalt-sealed pavement with one traffic lane in each direction. Stage 2 includes road realignment, creek realignment and the construction of a new 70m long 4 span bridge on Shone Avenue over Robins Creek as well as the addition of a shared user pathway on either side of the road and construction of a drainage channel along the banks of Robin Creek upstream of the proposed bridge. The works aim to increase traffic capacity, improve safety and reduce the impact of flooding from the creek.